Scientific Consilience fosters a good relationship with the open source community. During day-to-day work several tasks arise in the company which are addressed mainly by using open source software. Scientific Consilience in turn contributes to this community by releasing software under free licenses where internal and/or external needs outside of Scientific Consilience's main business model lead to its development. 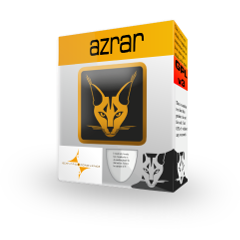 Azrar, a tool for the encryption/decryption of single files addressing long-term data secrecy, is one example. Driven by the need for a tool that promises privacy in a business environment when using webspace for transfer of huge amounts of data while staying viable Azrar has been developed. Scientific Consilience released Azrar under the terms of the GNU General Public License, either version 3 or any later version.